Please be noted this is not a "plug-and-play" microphone for smartphones or computer use. +The clip is small, light, and strong. It does not slip when clipped on. It's tiny so it is not even noticeable from the audience's view. +The clear sound is amplified and not muffled or crackled at all. Please be noted that this clip-on microphones is specially designed for all WinBridge Voice amplifiers but not suitable for PC/smartphone!!! The fun-based Voice Amplifier with this clip-on microphone can make you more comfortable and enjoy. 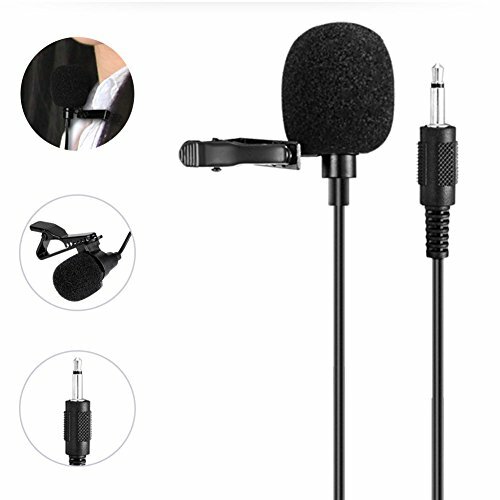 The mode clip-on microphone can fixed on the music instruments for amplification(With the use of voice amplifiers ) which is popular for music lovers. If you have any questions about this product by WinBridge, contact us by completing and submitting the form below. If you are looking for a specif part number, please include it with your message.